Each year, about 600,000 Americans – one in four deaths — in the United States are from heart disease, according to the Centers for Disease Control. Of the 715,000 Americans who have a heart attack each year, about 525,000 are first-timers, says the CDC, and those individuals may not know what’s happening. Sadly, many people do not get to the hospital on time, says paramedic Dale Hemstalk. 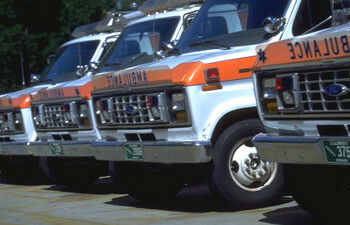 “If someone is having a heart attack, for example, they should get to the hospital without delay upon the initial onset of symptoms,” says Hemstalk, who is also a software developer with Forté Holdings, Inc., a provider of health-care software that works closely with paramedics, emergency medical technicians and firefighters to speed delivery of medical services. The company’s newest software, iPCR, (www.ipcrems.com), takes electronic patient-care reporting in the field to new levels of portability and affordability. “We live in an age in which we should be taking greater advantage of our technology for health purposes – but you have to call for help first!” Hemstalk says. He shares warning signs that it’s time dial 9-1-1. • Symptoms for a heart attack: Men and women frequently report different symptoms. Men tend to have the “classic” signs, such as pressure, fullness, squeezing or pain in the center of the chest that goes away and comes back; pain that spreads to the shoulders, neck or arms; chest discomfort with lightheadedness, fainting, sweating, nausea or shortness of breath. For women, symptoms tend to be back or jaw pain; difficulty breathing; nausea or dizziness; unexplainable anxiety or fatigue; mild flu-like symptoms; palpitations, cold sweats or dizziness. Triggers tend to be different between the sexes, too. In women, it’s often stress; in men, it’s physical exertion. • Symptoms for a stroke: There are clear, telltale characteristics of a stroke, including sagging on one side of the face, an arm that’s drifting down and garbled speech. But there are also more subtle signs from the onset, such as sudden numbness of one side of the body, including an arm, leg and part of the face; sudden confusion, trouble speaking and understanding; sudden trouble seeing in one or both eyes; sudden loss of balance; sudden headache for no apparent reason. Risk factors include diabetes, tobacco use, hypertension, heart disease, a previous stroke, irregular heartbeat, obesity, high cholesterol and heavy alcohol use. • Symptoms for heart failure: This is not the same as a heart attack, which occurs when a vessel supplying the heart muscle with oxygen and nutrients becomes completely blocked. Heart failure is a chronic condition where the heart can’t pump properly, which may be due to fluid in the lungs. Warning signs include shortness of breath, fatigue, swollen ankles, chest congestion and an overall limitation on activities. Just one of these symptoms may not be cause for alarm; but more than one certainly is. Risk factors include various heart problems, serious viral infections, drug or alcohol abuse, severe lung disease and chemotherapy.